Aakriti Group Pvt Ltd is an ambitious real estate enterprise that is invested in delivering high end realty projects. Established in the year 1992, the company been dedicatedly constructing qualitative residential, commercial, farmhouse, institutional and hospitality projects. Aakriti group has focused its operations at Gurgaon, Noida, Ghaziabad, Patiala, Jhajjer and Delhi along with other various regions across the country. Established by Mr. Ashwani Dhawan, a Graduate from Meerut University, Aakriti Group is run by a group of highly competent engineers, and professional employees. Aakriti Group Pvt Ltd understands the importance of quality and ensures the best of technology, planning, design and construction for all of its projects. 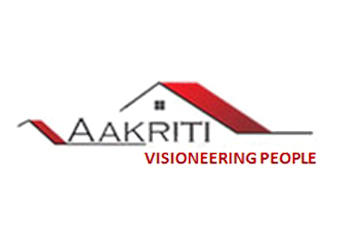 Directed on the vision “to become World’s premier Engineering and Construction Company, upholding its tradition of ‘visioneering people’, fostering an environment which promotes creation knowledge and its application” makes the Aakriti Group an innovative organization. Aakriti Group has to its credit the Shalimar Garden Colony in Ghaziabad that was considered well ahead of its time when it was established in 1992. It has since, become a landmark residency. The company has made it its mission to “To build a company with highest standards of professionalism, quality, ethics, and technology up gradation for customer satisfaction”. The group believes that this can only be achieved by making new clients while retaining its large pool of existing clients, thus giving an evidence of quality, customer satisfaction and sustainability. The company strongly believes in giving back to nature and society with responsibility. Thus, they have initiated activities for health and safety and an environment management system by promoting community involvement that engages local suppliers for their construction requirements whenever possible.